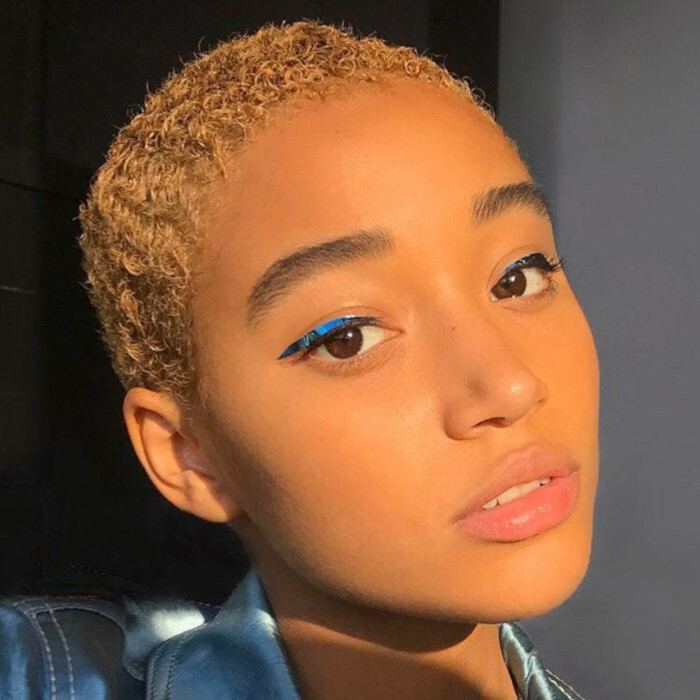 Amandla Steinberg proved that one can stay faithful to minimalism and still make a statement. She went for one bold element – the metallic feline flicks- and left the rest of her face bare and beautiful. 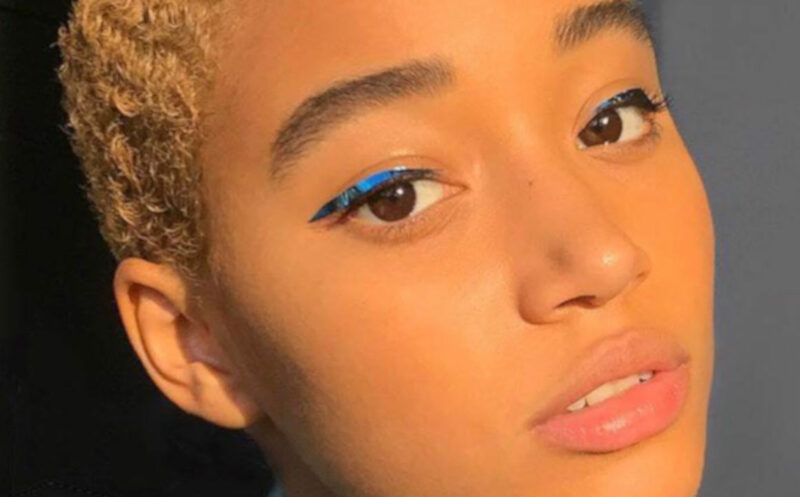 Aren’t you tempted to ditch your black eyeliner RN and copy this look?